SOLD OUT. Additional tickets may be released as concert dates near. Happy birthday, Alan! 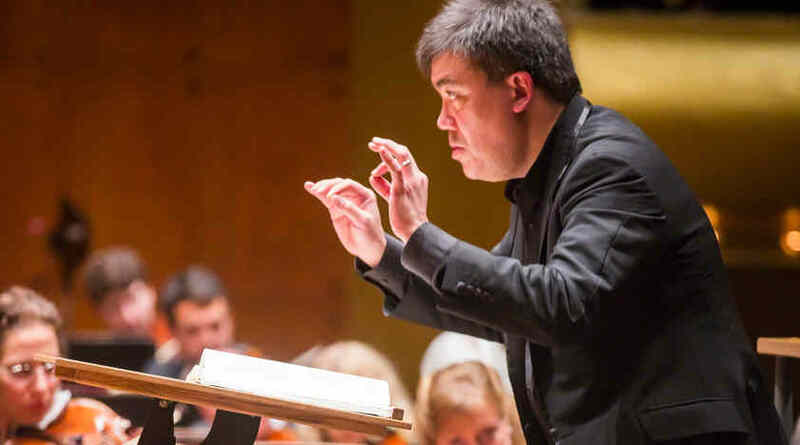 Music Director Alan Gilbert is going all out for his 50th birthday, and you’re invited. Celebrate with this star-studded concert featuring Joshua Bell, Emanuel Ax, Lisa Batiashvili, Yefim Bronfman, Renée Fleming, Frank Huang, and Pamela Frank. “This coming together of kindred spirits and people who love music and who love each other is all you can ask for,” says Alan. In an oft-quoted tongue-in-cheek quip Johannes Brahms described the epic Second Piano Concerto as “a tiny, tiny pianoforte concerto, with a tiny, tiny wisp of a scherzo,” but its four movements seem to approach the dimensions of a symphony. At once full of nobility, lyricism, and brilliance, the concerto is monstrously challenging to perform, demanding interpretive power along with sheer stamina. It begins with a brass fanfare — answered beautifully by the piano — that becomes the source for much of the first movement’s power. There is plenty of excitement in the soloist’s leaps across the keyboard, piling up rich chords. The “tiny wisp” of the scherzo is anything but; it is a stormy, dramatic statement. The nocturnal Andante features a lyrical cello solo and provides moments of tenderness and grace. And the finale’s marking of Allegretto grazioso sums up perfectly the surprisingly light but dazzling conclusion, in which some listeners hear suggestions of Hungarian gypsy music. Even as a teen Max Bruch loved the violin: "The violin seemed to me even at that time the queen of instruments, and it was quite natural that early on I had the inclination to write for it." He began work on this concerto when he was just 19, but did not finish it until nine years later. No sooner had he completed the score than he wanted to revise it... "Between 1864 and 1868 I rewrote my concerto at least a half dozen times," he later told his publisher. Not playing the instrument himself, he requested assistance from violin virtuoso Joseph Joachim (1831-1907), who was glad to provide suggestions. Joachim-the musical advisor to Brahms, as well — was rewarded by becoming the dedicatee, soloist, and champion for the newly-reworked concerto. When asked to compare the violin concertos of Beethoven, Mendelssohn, Brahms, and Bruch, Joachim opined that Bruch's was "the richest and most seductive" of the four. Many other renowned violinists, such as Henri Vieuxtemps, Leopold Auer, and Ferdinand David subsequently took it into their repertoire. It opens with a brief, solemn Prelude that proceeds to a more energetic Allegro moderato. The slow movement is a rapturous Adagio, full of sweeping arpeggios for the violin. The finale, with its hints of gypsy melodies, is fiery and brilliant — a real showstopper. Though other of his works are regularly programmed by symphony orchestras — for example, his Scottish Fantasy, composed for the Spanish virtuoso Pablo de Sarasate, and Kol Nidrei — Bruch is best known for this romantic concerto, whose passion and bravado have made it a virtuoso showcase for soloists and an audience favorite for nearly 150 years. Winner of both the Avery Fisher Career Grant and the Avery Fisher Prize, American violinist Pamela Frank has appeared with the Berlin, Los Angeles, and New York Philharmonic orchestras; Chicago, San Francisco, and National symphony orchestras, as well as the Orchestre National de France. As a chamber musician, she works regularly with Peter Serkin, Yo-Yo Ma, and Tabea Zimmermann. She has recorded Dvořák’s Violin Concerto with the Czech Philharmonic, Brahms’s violin sonatas with Peter Serkin, Mozart’s complete violin concertos with David Zinman and Zurich’s Tonhalle Orchestra, and a Schubert album and Beethoven’s violin sonata cycle with Claude Frank. A noted pedagogue, Ms. Frank presents master classes and adjudicates major competitions throughout the world. She is also on the faculty of the Curtis Institute of Music, her alma mater, where she studied under Szymon Goldberg and Jaime Laredo. Pamela Frank made her New York Philharmonic debut in October 1994 performing Dvořák’s Violin Concerto, led by Leonard Slatkin; most recently she appeared with the Orchestra in November 1995 performing Mozart’s Violin Concerto No. 3, led by André Previn. 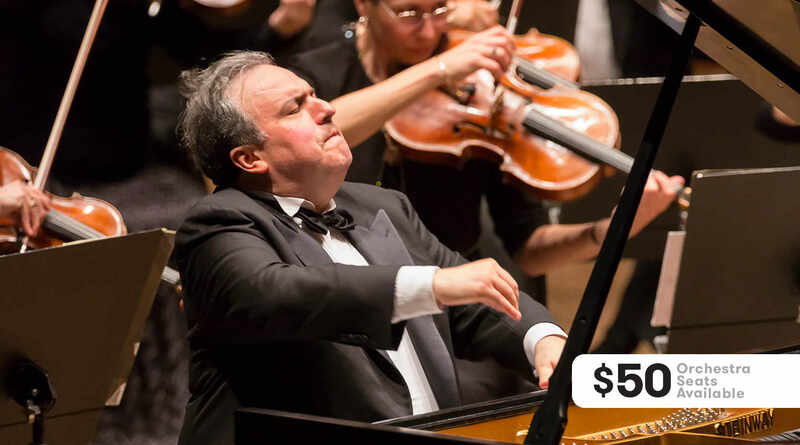 Yefim Bronfman’s commanding technique, power, and exceptional lyrical gifts are consistently acknowledged by the press and audiences alike. In celebration of Yuri Temirkanov’s 80th birthday, Mr. Bronfman’s began the 2018–19 season on a European tour with the St. Petersburg Philharmonic, followed by a Scandinavian tour with Amsterdam’s Royal Concertgebouw Orchestra. Yefim Bronfman’s orchestral concerts in Europe include the Orchestre national de France, London Philharmonic Orchestra, WDR Symphony Orchestra Cologne, Orchestra dell’Accademia Nazionale di Santa Cecilia, Berlin Philharmonic, and Vienna Philharmonic on tour. 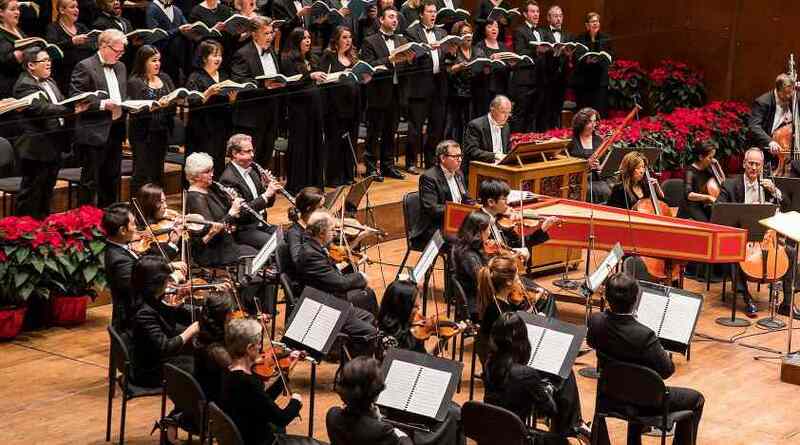 In the US he returns to the New York and Los Angeles Philharmonic orchestras, The Cleveland Orchestra, and the Houston, St. Louis, Cincinnati, San Francisco, and Dallas symphony orchestras. He performs recitals in New York (at Carnegie Hall), Berkeley, Stanford, Aspen, Madrid, Geneva, Cologne, Leipzig, Munich, Berlin, Naples, and Rome, and on tour in the spring with mezzo-soprano Magdalena Kozena. Mr. Bronfman has given numerous solo recitals in North America, Europe, and Asia, including acclaimed debuts at Carnegie Hall (1989) and Avery Fisher (now David Geffen) Hall (1993). In 1991 he gave a series of joint recitals with Isaac Stern in Russia, marking Mr. Bronfman’s first public performances there since his immigration to Israel at age 15. That same year he was awarded the prestigious Avery Fisher Prize, and in 2010 he received Northwestern University’s Jean Gimbel Lane Prize in Piano Performance. Born in Tashkent in the Soviet Union, Yefim Bronfman immigrated to Israel in 1973, where he studied with pianist Arie Vardi, head of the Rubin Academy of Music at Tel Aviv University. He also studied at The Juilliard School, Marlboro School of Music, and the Curtis Institute of Music, under Rudolf Firkušný, Leon Fleisher, and Rudolf Serkin. He is a 2015 recipient of an honorary doctorate from the Manhattan School of Music. Renée Fleming is one of the most acclaimed singers of our time. In 2013 President Obama awarded her the National Medal of Arts. A four-time Grammy Award winner, she has sung for momentous occasions, ranging from the Nobel Peace Prize ceremony to Queen Elizabeth II’s Diamond Jubilee Concert at Buckingham Palace. In 2014 she became the first classical artist ever to sing “The Star-Spangled Banner” at the Super Bowl. Ms. Fleming earned a 2018 Tony Award nomination for her appearance in Rodgers & Hammerstein’s Carousel on Broadway. Heard on the soundtracks of Three Billboards Outside Ebbing, Missouri, and the 2018 Oscar winner for Best Picture, The Shape of Water, she also provided the singing voice of Julianne Moore in the film Bel Canto. Ms. Fleming’s 2018–19 tour schedule includes concerts in Boston, Chicago, Barcelona, Amsterdam, and Paris. This June she will make her London theater debut in The Light in the Piazza at Royal Festival Hall. As artistic advisor to the John F. Kennedy Center for the Performing Arts, Ms. Fleming spearheads a collaboration with the NIH focused on the science connecting music, wellness, and the brain. She has given 18 presentations with scientists and practitioners across the country on this subject over the past year.